LOOKING FOR BEST JOOMLA! TEMPLATES FOR NEXT PROJECTS? Joomla! 3 requires PHP version from 5.6.x or higher, this is a highlight for hosting compatible, for more details please read it here. Please click tab “Menu” and choose “Main Menu“. Publish a module on the “offcanvas” module position. 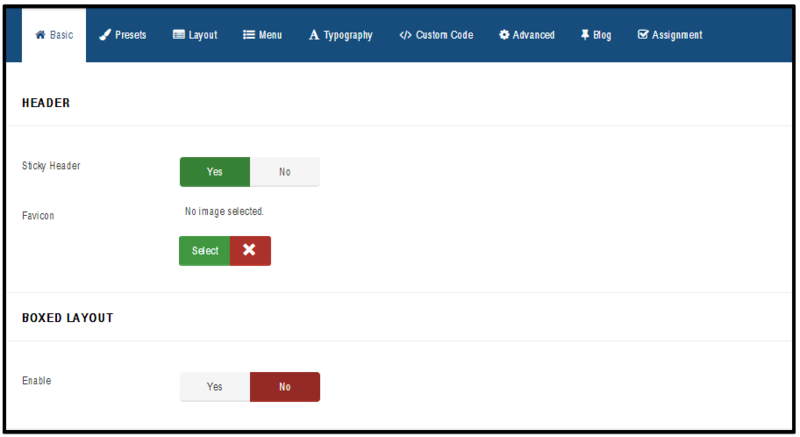 It is a built-in Joomla module position in the off-canvas sidebar. Go to “Extensions” / “Modules” / “New” and choose the module type you want to display in the off-canvas sidebar. Bottom modules place at position ‘bottom 1’, ‘bottom 2’, ‘bottom 3’ and ‘bottom 4’, you can find it via Module Manager with ‘Select Position’. Footer modules based on position ‘footer 1’ and ‘footer 2’ as well. For Free version, you must to build content by yourself from ZERO, you can use Joomla! single article and modules in template to present for your content. For Pro version, you can install Quickstart package, and this is a way you can edit demo content. 1. 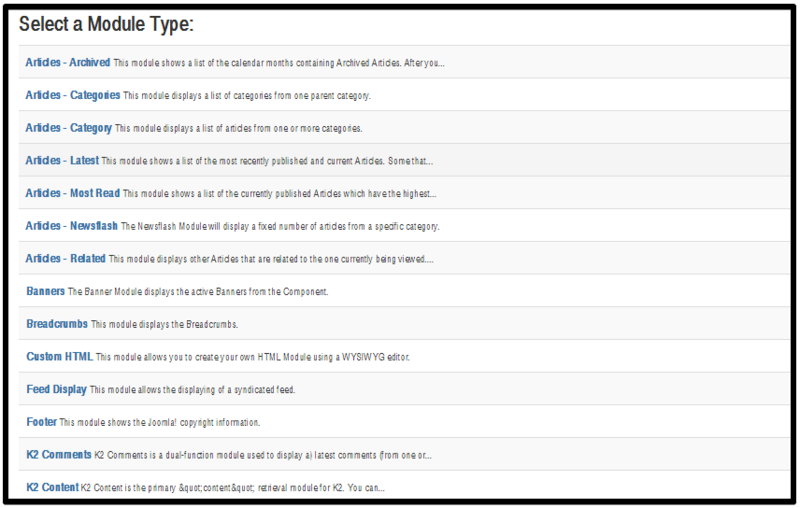 Title: Add a Title that clearly describes what your blog item is about. If you want to optimize your new blog for search, then your chosen keyword/ key phrase should be included in the Title. The Title alias (URL) will be the link to your new blog page. Once your blog goes live, the Title alias (URL) should NEVER be changed, otherwise you will lose your social shares, backlinks from other websites to your article plus any potency that the page has achieved in search engines rankings such as Google. In general once a blog is live you will never want to change the Category as it could upset your page links. If your item has been published for more than a few days, always check with your web agency before changing the Category field. Applying bold, underline, italics and headers to the article is time consuming and your site will not be uniform. Use your Description to elaborate on your page title and give your potential audience a better idea of what will be on the page when they click. A typical search results page has 10 website listings, so a well written Description will ensure your website stands out and will improve your click-through-rate. Try and describe exactly what your page is about using superlative terms and even the odd UPPERCASE word to give your page a competitive advantage. Advanced Portfolio Pro is the professional version of Advanced Portfolio. It is a Joomla! 3 extension developed by ExtStore Team, supporting users to create a neat, flexible and effective portfolio-based site. The component manages projects by tags or categories. Each project contains short and full description, easy image management, video and metadata options optimized for SEO. – You have to start from adding a new tags in component, without them you won’t be able to add new items. Add at least one new Tag. The same tag can be applied to many different items across portfolio. Each new tag have its own name and alias. If you add one or more tags you can start to add new items. (1) Alias – the Alias is used in creating the URL (website address) for the detail page. By default component will use the Title for creating the alias (with modifications) unless you type an Alias in yourself. Joomla will make the alias all lower case, replace spaces with dashes and take out any characters that can not be accepted. (2) Image – About choosing a image for item, you can use those which you have or upload a new one. We recommended image size : 1170px X 800px, but of course if you have only smaller you can also use them. (3) Video URL – Portfolio items can contain not only images but also Youtube or Vimeo video clip. Just insert your video URL. Leave this filed blank if video is not required. (4) Description – in this field you can add description or even additional images which will be displayed on the item detail page under main image. 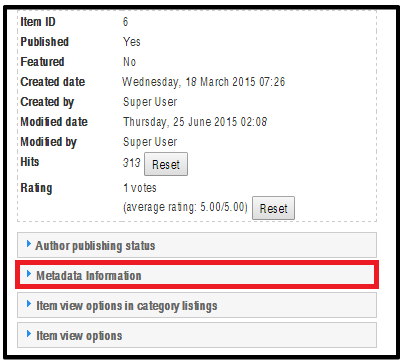 (5) Tags – All items are based on Tags system, which are similar to categories. Once you get to three letters you will start to see suggested tags that already exist. The advantage of this solution is that each item can be assigned to multiple tags. Also the same tag can be applied to many different content items across portfolio. Tags will be used to filter portfolio items. (6) URL – Each item can include its own link. Leave this blank if you do not want to show project URL. (2) Slider Alias: An individual name of the slider. Don’t use Special chars and spaces here. This will be used for ShortCode embedding and for any other art for embedding and corresponding / link internal to the slider. FullScreen: Slider will take the height of Window and center the preseted Grid within. It will always try to go FullHeight and Fullwidth if the wrapping container allows. – Depending on the Layout you can set the Width and Height of the Captions. 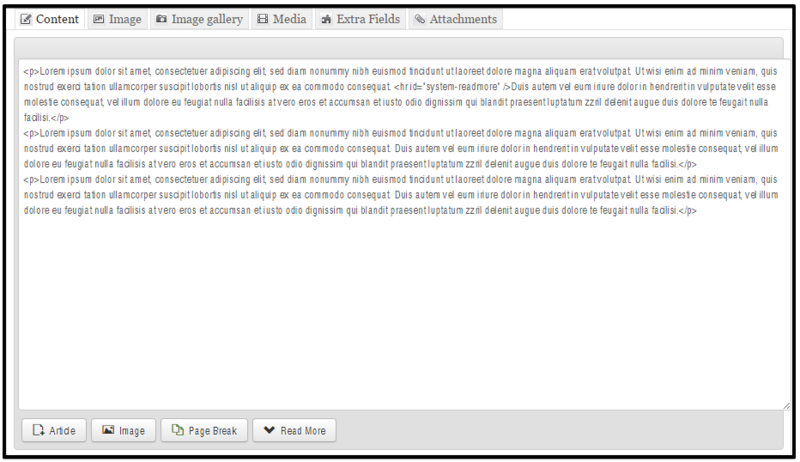 The Slider will go Fullwidth or Fullwidth and Fullheight in case you set AutoResponsive or FullScreen. Caption Grid will be centered always within the slider container. Navigate between the Slides simple selecting The Tabs on the top. Don’t forget to Update the Slide before you Leave one tab ! (2) State: Published / Unpublished – used for Editing, modificating the slide. If it is Unpublished, front-end wont show this slide at all. (4) Transitions: The Animation Style how the Slide appearance. You can select more than one from a multiplie choice drop down list. Every new loop will use an other Transition if you selected more then one. (5) The Image Source for the Main Image: A Slide can have an Image, Transparent Image, Solid Color or External Image as Main Image. This Image is the “Main Layer” in the background which has been animated via the General Settings predefined Transitions parameter. You can choose from following layers / captions: HTML Markups, Image, Video. – The Captions have the white-space: nowrap setting default. It is important because of the transitions. Please use <br> for line breaking, or add different layers for multiple lines. – Set the Align of the Layers / Captions. Left Top is default. Drag and Drop move of the Layer will based on the Align. If you set the Align to Center Center, the Drag And drop will be based on this aligned position and use an Offset. From the main menu select “Extensions” / “Templates” / “atexample-Default“. This is where you edit template styles. When a template is first installed, a default style is created for it. The default style for the template will have the same name as the template with a – Default suffix. There are 8 options for Basic: HEADER, BOXED LAYOUT, LOGO, BODY BACKGROUND IMAGE, FOOTER, SOCIAL ICONS, CONTACT INFORMATION, COMING SOON. – Header: The Header setting provides the ability to easily change the Sticky Header and Favicon of the header area. 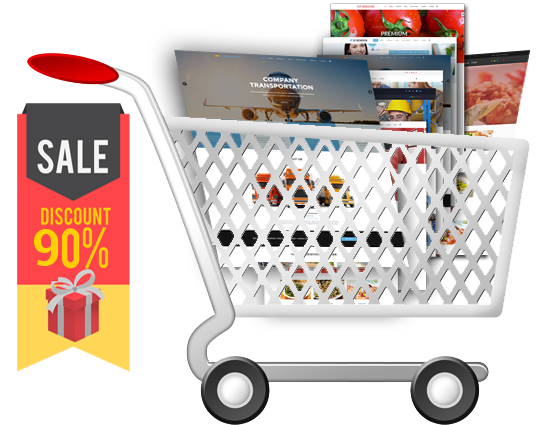 – Body Background Image: The Body Background Image setting provides the ability to easily change Image, Repeat, Size, Attachment, and Position. 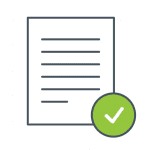 – Contact Information: The Contact Information setting provides the ability to easily change the Information and Module Position. The Presets setting provides the ability to easily change Styles and Options. We defined 4 color presets for template, you can select existing color you want. In case you want to make new color for your own, just open file “preset[x].css” with “x” is color preset number that you’re using, search for main color code and replace all to new color code. 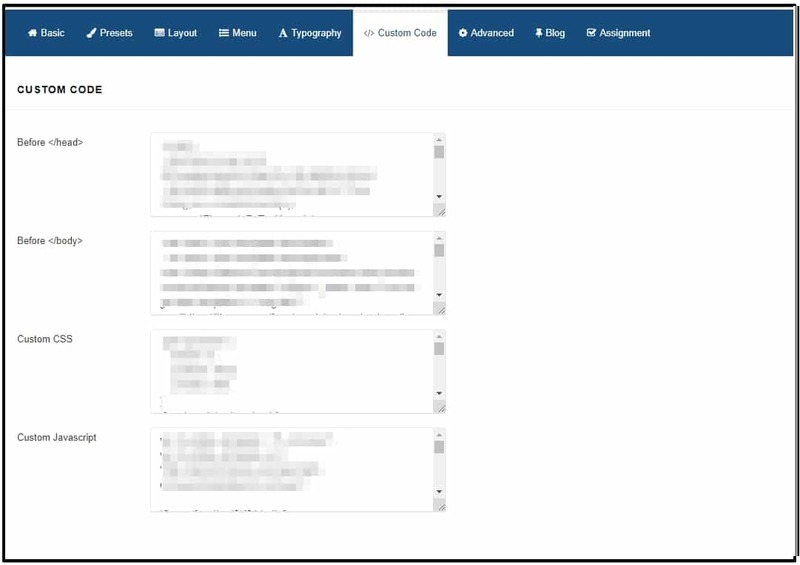 The Layout setting provides the ability to easily change layout template by using: Add Columns, Add Row and Settings. 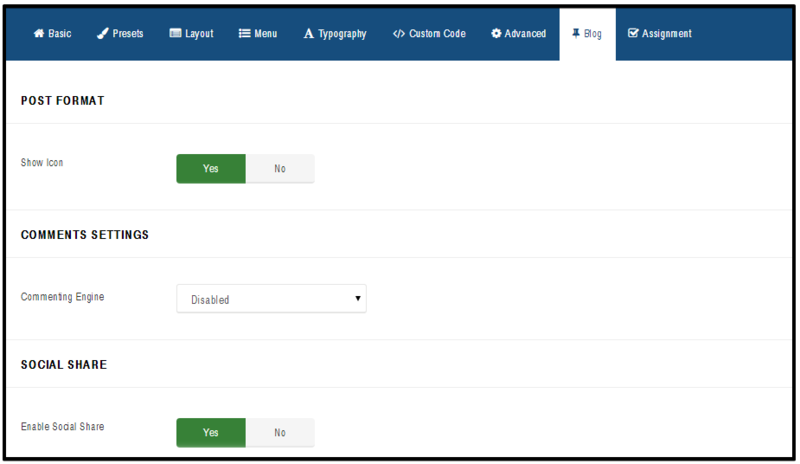 The Menu setting provides the ability to easily change Menu, Menu Type, Dropdown Width and Dropdown Animation. The Typography setting provides the ability to easily change Font Family, Font Weight & Style, Font Subset, Font Size and update Google Fonts List. 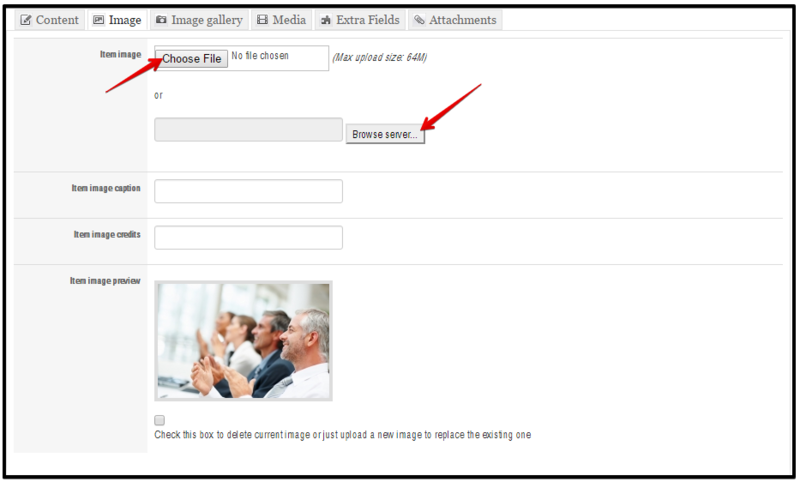 The Blog setting provides the ability to easily change Icon Post Format, Comment Setting and Social Share. Joomla! gives you the option of switching between two or more styles on the Front-end. This is done with “Menu Assignment”, so you can set different styles for each menu or only a menu item. 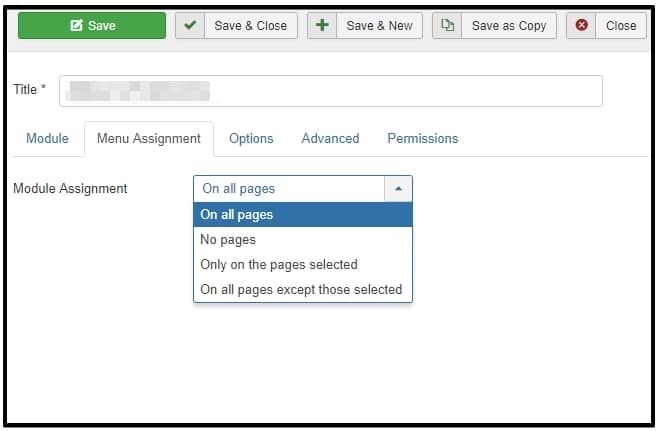 This allows specific “pages” that are defined by menu links to set for a “specific” style. Styles can be of different templates. United Revolustion Slider http://www.unitecms.net/joomla-extensions/unite-revolution-slider-responsive/documentation (paid extension and it won’t includes in download package, just in Quickstart package of PRO version). If you have any pre-questions before go to PRO version, please feel free to chat via Live Chat or direct Contact Us! If you’re using Free version, copyright on footer will be shown. You can’t remove it, it’s copyright information for the template that you must to keep in order to use the template as Free license with us. After purchase PRO version, you backup your Template Settings by use export function (see screenshot below) via Template Settings > Advanced, then uninstall your current Free template. Next, please go to Customer Area, download PRO package and unzip it, find Template Install package, reinstall it via Extension > Manage > Install, then active your new PRO theme and import Template Settings to remove copyright on footer and access all pro features. We have Dedicated Support system. If you’re using Free version, it’s limited for 3 tickets support. Visit Ticket Support System and open ticket if you have problem. If you’re using PRO version, and want to get theme style, all features and sample data like demo, we provide Install Service that you can order it! BTW, PRO UNLIMTED version come with Free Install Service, so you should buy this package version to get Install Service for FREE and save money! Get PRO UNLIMITED with 90% OFF? Checkout Membership package to save money than separate purchase!